- How important was it for you to face AGO Esports in your first match? After all, it’s the last team the old Virtus.pro roster played against. - Very important. For me and TOAO it was playing against our former team. For us it was especially important. For other guys it was emotional too. It didn’t affect them that much, because they weren’t with AGO before, but it was Polish derby after all. It’s also important for us to debut today. For Virtus.pro overall it was a very important match. - Did you feel any pressure from fans and media before the match? Fans waited for it for weeks, asking about the date all the time. - To be honest, whenever I opened Facebook, every time I saw something about the match. The pressure was enormous. Just look at the level of interest in this match. Look at the viewership. It was an abnormal number, especially if you consider that fewer people watched Dreamhack finals. The start of the match didn’t look like we’ve practiced during sparring. In practice we feel free and it’s easier to play. Today we felt pressure right from the get-go. - You start, you rush BS and all of a sudden GruBy becomes an impenetrable wall, and he gets an ACE. I wonder what was going through your heads. - Actually, nothing. Rounds like this happen sometimes, our reaction wasn’t exceptional. The most important thing after something like this is to keep playing your game. - The T side didn’t go very well after all. From viewer’s perspective - you’ve lost a lot of rounds, which hurts even though you’ve repaired your economy by planting some bombs. - The attack’s result could have been much better. In two rounds we’ve almost took BS over, but suddenly AGO got some frags and in the span of four seconds we lost all the advantage we got before. If you look at it from this side, the score could have been 6:9. It would’ve been a very good score. - When you switched sides, were you calm? AGO Esports proved that they can be very good in attack on Train. - We’re experienced enough that we know we can come back from any score. Throughout the entire match no one in our squad was ready to give up. - Technical difficulties that have appeared helped you to clear your minds and restructure the game, right? The pause was pretty long. - During the pause we tried to calm ourselves down and lift the pressure off of ourselves. The pause helped us in psychological way, but both teams are used to situations like this. The most important thing is to not lose your rhythm. It concerns both sides. There was no decisive score so it could’ve had bad influence on us. The line is thin. Thankfully, we didn’t focus on losing and bad score. If we started to think about it, it could’ve taken us down. - How important was TOAO’s presence during this match? There were opinions that as a former leader of “Eagles” he can show you the way to defeat them - although it is known that those theories should be considered with doubt. - From the moment TOAO was out of the roster and after that - out of AGO Esports, a lot of time has passed. They had tons of bootcamps so they’ve probably developed a lot of new things. So Mateusz didn’t give up a lot of opponent’s secrets. - It is known that during practices everything looks different and you can only see the true face of the team in official matches. Was there anyone who stepped up as a leader of the new squad, who motivates the team? - In Virtus.pro everything is divided through the entire team. Anyone can motivate his teammate. It’s important because all of us are capable of stepping up under the weight of the game in difficult moments. There are no stars in this roster. There are five players who complete each other. - After this emotional debut, how would you evaluate your game? - It’s great. We had good results during sparring. We have to take those results to official matches that are waiting for us. We’re going to be a solid team. We just need a bit more time. 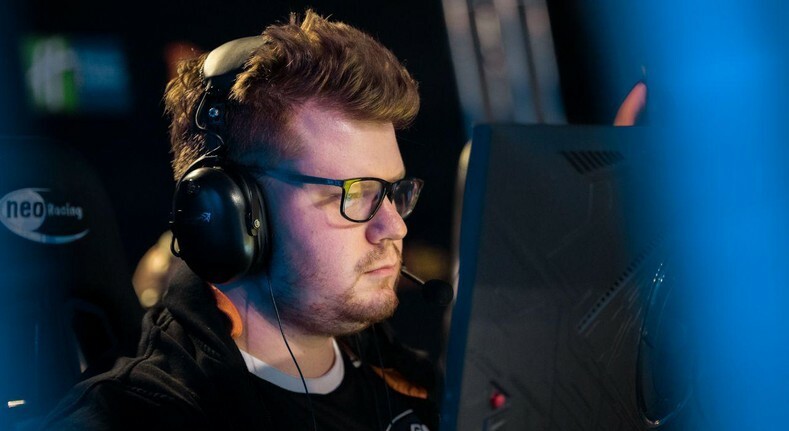 - Does Snax and byali’s presence have any impact on the three of you? - No pressure. When we’re working on tactics during practices, we’re trying to do some kind of brain storm, when any one of us can speak out. This way everyone can say what they like or dislike. We’re talking about it. It’s very important to listen and value everyone’s opinions the same. We’re doing it and we think it will help us in future. - What are Virtus.pro’s plans for the next couple of weeks? - First of all, we want to win as many official matches as possible, and we have a lot of them coming our way. There are qualifiers to big tournaments as well. We will have calendar shortly so we will know what to expect. In those qualifiers we have to show our best game to advance to biggest competitions. We’re working on our game and keeping what we already have. In other words - practicing. - Good performance is what you need right now. As a team you’re trailing a lot from the top of HLTV.org rankings. It’s time to get some points. - When the team was formed, we knew that we’re going to lose a lot of points and we were going to be pretty low in the standings. We’re starting from scratch and the only thing that can get us back on top is our game. In my opinion, we can do great things together.